Description: By focusing chakra to the brain and sensory organs, Namatazu can use his kekkai genkai to help sense incoming projectiles and analyze their velocity and angle of trajectory in order to determine the most efficient way to dodge them. Once he has determined the best way to dodge, he can focus his chakra to the appropriate muscle and bones to aid him in his evasion. Description: By focusing chakra to the brain and sensory organs, Namatazu can use his kekkai genkai to help analyze his opponent and determine their most vulnerable spots, reaction times, and most predicted path of movement. Based on this information, Namatazu can then focus chakra into his arms and fire an extremely powerful bolt at the enemy. Description: By focusing chakra to the brain and sensory organs, Namatazu can speed up his perception of reality to "slow down" his perception of time. By doing this he can react to basic melee attacks and up to B-level taijutsu and block them with extreme efficiency by seeing them in slow motion. Namatazu can persist this technique at the cost of an increased chakra consumption and possible damage to his sensory organs. Chakra: Activation -30, -50 per post after activation. Lasts 5 posts maximum. Description: Namatazu can focus chakra to his eyes to increase his eyesight 10 fold. Increasing his eyesight can allow him to do a multitude of things, such as read lips, spot distant targets, or read documents from great distances. Namatazu can only sustain this technique for a short period of time before his sense begin to dull. Chakra: -20. Only lasts 4 posts. Description: Namatazu can focus his chakra to his ears to increase his hearing threshold and accuracy. This allows him to intercept sound waves above the hearing threshold, and to perceive sounds above and below normal wavelength capacity. If enough chakra is sacrificed, he can intercept radio wavelengths and ultrasonic message from animals. Namatazu can only sustain this technique for a short period of time before his senses begin to dull. Description: By focusing chakra to the brain and sensory organs, Namatazu is able to detect the exact location, size, type number, vital functions, and strength of chakra of all living organisms within a 500 foot radius. This is used mainly as reconnaissance and defense in order to analyze where possible opponents might be. Description: User can propel himself around the battlefield with two, strong jets of water produced from his hands. Can propel a maximum distance of 50 feet at a time. Must use own strength to control the direction of the water jets. Description: User encases hand in water and can force chakra into the water to heal minor wounds through physical contact. User must maintain physical contact in order to circulate chakra over wound and heal. Description: User encases hand in water that elongates into a sharp, spiraling water drill. User can use this drill in combination with his punches to pierce this skin and deal intense damage. Chakra must keep flow of water intact. Description: User creates a prison of water around target. Target cannot be released from water prison as long as one hand of the user is placed inside the prison at all times or flow of chakra is disrupted. Target cannot move or breath whilst held in the prison. Can be placed around self in a defensive maneuver if necessary. Requires a source of water to use. Description: Creates a clone made out of water. Clone has 1/10th of the users original power. Can be used in combination with replacement jutsu. Clone cannot move more than 25 feet from the user without losing control and reverting back to water. Does not require a source of water to create, and can be used as a source for other jutsu. If clone is struck it will turn into pure water. HP: -1/10th of normal attacks. Description: User quickly creates a wall of water to block incoming projectiles or to put space between two targets. Does not require a source of water, but water dissipates after one post. Description: Using a source of water, user creates a flock of sparrows made of pure water to strike at a target with extreme velocity. Multiple strikes can knock target back. Maximum number of sparrows at a time are 10. Description: Similar to the Hidden Mist Technique, chakra mist is a jutsu Namatazu developed that allows him to exhale a thick fog onto the battlefield. This fog, however, is laced with his very own chakra, and charges the air and techniques that are performed in it. Used mostly as a defensive maneuver, chakra mist will provide coverage and increase the efficiency of defensive jutsu used in it. However, it also charges offensive jutsu used by anyone in the mist. Description: Using a large source of water, user creates a large torrent of water to strike at the enemy with immense force, knocking them backward. Technique can be sustained to pin the target against a wall or the ground at the cost of increased chakra. Description: By placing a wounded person in a pool of water, user can force chakra into the water and heal moderate wounds, such as small gashes from sharp weapons, bruises, burns, minor fractures, and chakra damage. User must maintain concentration and flow of chakra to heal. Length of healing process depends on the severity of the wounds being cured. Description: Using extreme focus and concentration of chakra, user can sap the water out of living objects. The simpler the organism, the easier it is to dehydrate it. Can cause extreme damage to humans, but requires maintained concentration over 3 posts in order to complete. Water dehydrated can be used for other techniques. Description: Summons a colossal rainstorm from the heavens to bring rain into the area in a one mile radius. Rainfall will last for 10 posts. Description: Using a nearby source of water, user creates a colossal torrent of water that encases the target and produces a large swirling vortex. Can encase multiple enemies at once. Description: Using Chakra Mist as a surrogate, Namatazu can force chakra charged mist into the target's chakra system. By doing so, he will interfere with the way chakra flows through their body, causing all techniques cast by the target to become increasingly more difficult as time continues. Eventually, technique will seal their chakra systems off completely. 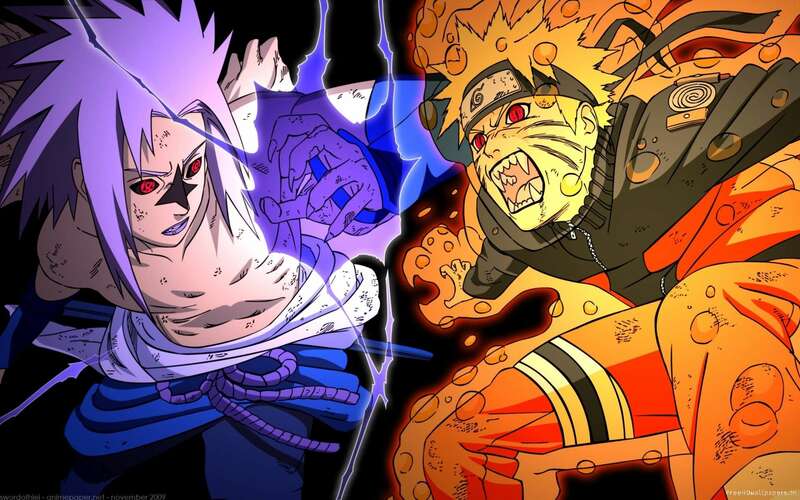 Target will also suffer internal damage to their chakra system as Namtazu's energy pervades their bodies. Target can only stop technique if they escape the chakra mist. If chakra is allowed to be sealed, the enemy's chakra system will be severely damaged, and must be restored surgically. Chakra: Cast -100, Enemy Cost: -10% increased every post. Description: By encasing target in a water prison and sacrificing a huge quantity of chakra, the user can circulate chakra through water to cure extreme wounds. If enough chakra is sacrificed, user can help regenerate bones, body parts, restore senses, heal moderate internal diseases, restore certain brain functions, and reverse extreme chakra wounds. Description: User creates a quick gust of wind from the palm to blow away small incoming projectiles no heavier than 15 pounds. Multiple projectiles with a combined weight of 15 pounds or less (e.g. needles) can be blown away with a single blast. Description: User creates a stream of wind around his body in order to reduce the damage taken from incoming projectiles. Does not work against extremely large objects or jutsu. Description: Namatazu focuses his wind chakra to his hand crossbow to increase the speed of his shot. The increased velocity cause the bolt to deal more damage. Can be used in combination with his kekkai genkai. Description: User creates a large, spherical wall of wind to surround self to block incoming projectiles up to 30 pounds and C-Rank or lower ninjutsu projectiles. Shield blocks projectiles from all directions. Description: User streams a small amount of air around feet in order to reduce the noise caused by footsteps. Description: Use summons a large, powerful stream of air to push down on target, inhibiting all movement and trapping target in a wall of air. Technique persists for 3 posts. Description: User creates a large, spherical barrier of air that moves at sonic speeds, blocking out sounds from entering and escaping the sphere. User cannot move from position or else sphere will be dissipated. Description: User will remove all air in target location, creating a small vacuum. This vacuum will pull anything in a 25 foot radius towards in and cause a sonic boom from the rush of air into the space, knocking enemies over and causing damage to hearing. Description: Similar to accelerated shot, Namatazu focuses wind chakra to his hand crossbow to charge his bolts. However, this technique accelerates the speed of the bolt as it travels, and creates sharp air currents with increasing radius as the bolt travels. Damage dealt is massive when fired from far away, and can reach target in milliseconds. This technique is an area of effect technique that grows by the second, and can strike multiple targets at once depending on the distance traveled. Because the bolt travels so fast, it forcibly pushes Namatazu back when fired. Description: User creates air currents around target to make it travel incredibly fast. Target can be either a weapon or a person. If a weapon, causes weapon to increase in speed and deal considerably more damage. If a person, causes person to travel twice as fast as usual. Increases melee attack speed and damage. Can be used in combination with other techniques. Description: User creates a massive pair of wings made of fast moving air currents. Creation of the wings can be used as a defensive move to block large, incoming projectiles and B-Rank or lower jutsu. When wings are created, they can be used for flight at the cost of constant mana drain each post. If user is hit while in flight, then wings will be destroyed. Description: User sends fast flying streams of water vapor and air to circulate around body in order to bend incoming rays of light to conceal presence and camouflage self. Concentration and flow of chakra must be maintained in order to keep camouflage intact. Camouflage is slightly noticeable, but is one of the most advanced types of concealment in terms of jutsu. Camouflage is more noticeable when moving. Description: User summons a colossal hurricane that engulfs the battlefield within a 1 mile radius. All those caught in the hurricane will take damage from chakra-infused winds that cuts through flesh every turn. Jumping will cause any person to be carried away by the winds, so a large portion of strength is required to remain grounded and perform attacks or techniques. This technique is detrimental to both the user, allied targets, and enemy targets. Description: Basic attack from hand crossbow. Fires a piercing bolt at target. Description: Fires 5 bolts in rapid succession using chakra to aid in speeding up the reload process. Description: User infuses crossbow bolts to reduce the sound the bolt makes as it travels through the air in exchange for reduced damage. Description: User fires crossbow bolt to intercept single, small incoming projectile. Description: User infuses wind chakra into crossbow bolt to aid in its direction. Causes bolt to be more accurate and deal more damage. Can be used in combination with other attacks. Description: User jumps in the air to gain altitude and fire shot from above. Description: User tumbles forward to avoid incoming projectiles or to dash away from a swift melee attack. At the end of the tumble, user fires crossbow at a target from a crouched position. Description: User surges wind chakra into a crossbow bolt and uses it to bend light around the bolt. This makes it look farther away than it is, and allows the bolt to reach the target less detected. Description: User surges chakra to crossbow and loads bolts made of wind. This allows the user to fire a machine gun-like stream of wind arrows at once. Wind bolts are invisible and fly at twice the speed as a silver bolt. User cannot move while the technique is active and must use strength to maintain stability while using. Description: User surges chakra into a sharp, thin blade. Used mostly for surgery, it can pierce through skin with ease for medical purposes. However, it can be used as an offensive measure if necessary. Description: A technique developed by Namatazu during his ANBU training, chakra stitching allows him to force chakra to a cut and create temporary sutures to keep him from bleeding or to keep body parts in place. Description: User can push a large mass of medical fluid, charged with chakra, to remove infectious diseases and toxins from the body that would otherwise kill target in a number of hours. Description: Using an extreme control of chakra, user is able to activate all cells in the body at once to rapidly regenerate cells in a short time. Used especially during surgery, this helps the target survive critical wounds and poisons. Description: A technique developed by Namatazu during his ANBU training, if Namatazu loses a considerable amount of health (less than 100), he can place himself in a death like state and force chakra to his body parts to instantaneously regenerate half of his missing health. He cannot move while the technique is active, and his heart beat reduces to less than 1 bpm, leaving him extremely vulnerable to attacks. Best used in combination with a shield. Technique will also leave his muscles and senses extremely weak upon reviving.